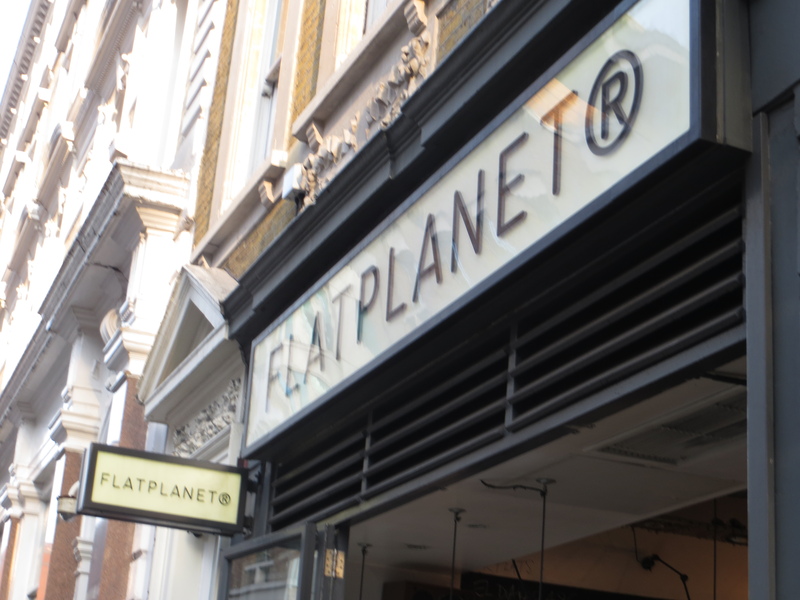 I love a good pun, so Flat Planet gets points for not only having a pun on the famous flat whites of Down Under but also doubling down on the word play by serving flat bread pizzas. This café, set at the top of the recently revived Carnaby Street on the edges of Soho, Regent’s Street and Oxford Circus, was created by the founder of the Leon chain. Maybe I should switch to flat whites as it seems they are becoming the regular drinks at the new wave of cafes. 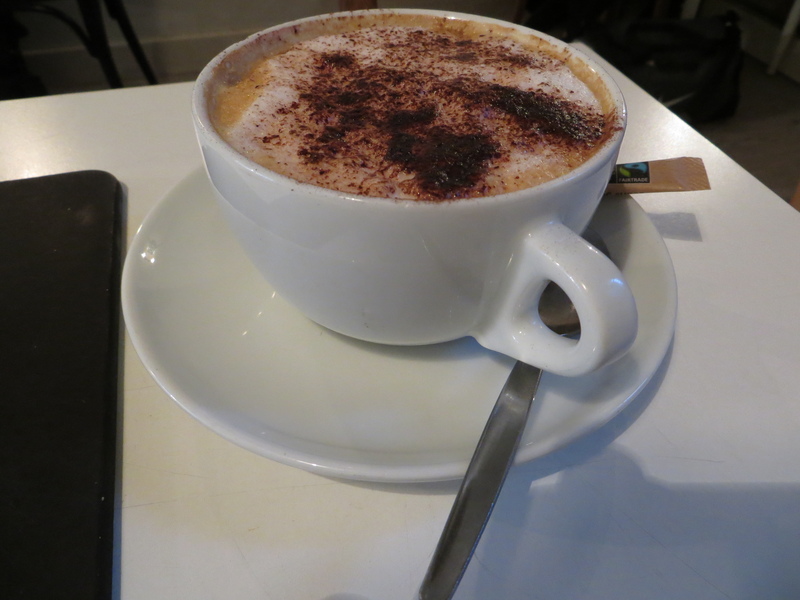 However, I stuck with the cappuccino and it was a pretty good cup. A good size serving and hot with it – however, the chocolate topping was, once again, provided without my asking. It had a frothy head with a milky body – not ideal but it was strong and tasty. For my money, I prefer a creamier, velvety body but for all that I’d happily go back, especially as it is only £2.20. Is it time I switched to flat whites? It’s the kind of place that feels like it has been there for years. Scruffy round the edges, but probably intentionally so, it has limited seating upstairs and a bit more downstairs. However, you get a good mix of Soho filmy types, tourists along from nearby Liberty’s and coffee aficionados. The decor is interesting with maps of the world and bags of coffee. It’s cool but not overly so. 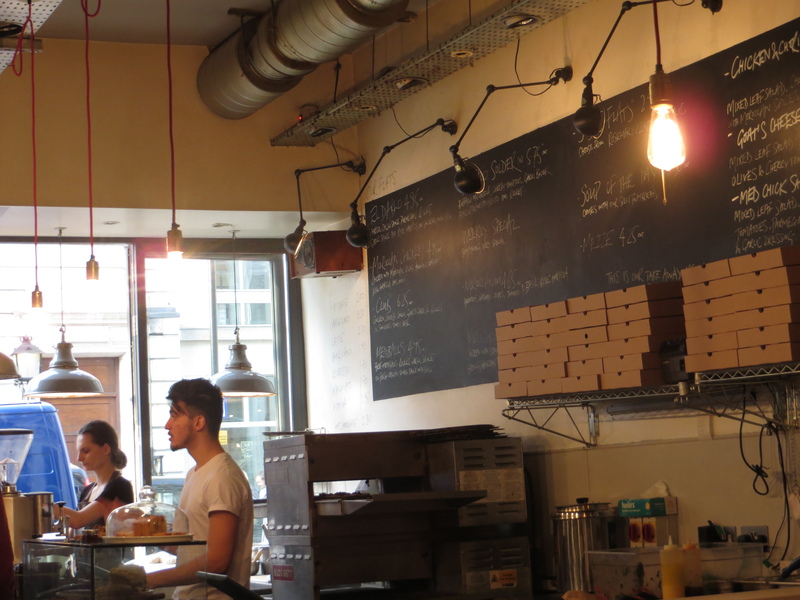 Although I’m yet to try their flat breads, the idea is a great one with a selection of tasty sounding toppings. Meatballs, Moroccan Chicken and the Balearic caught my eye. They are also pretty reasonably priced around the £6/7 mark. 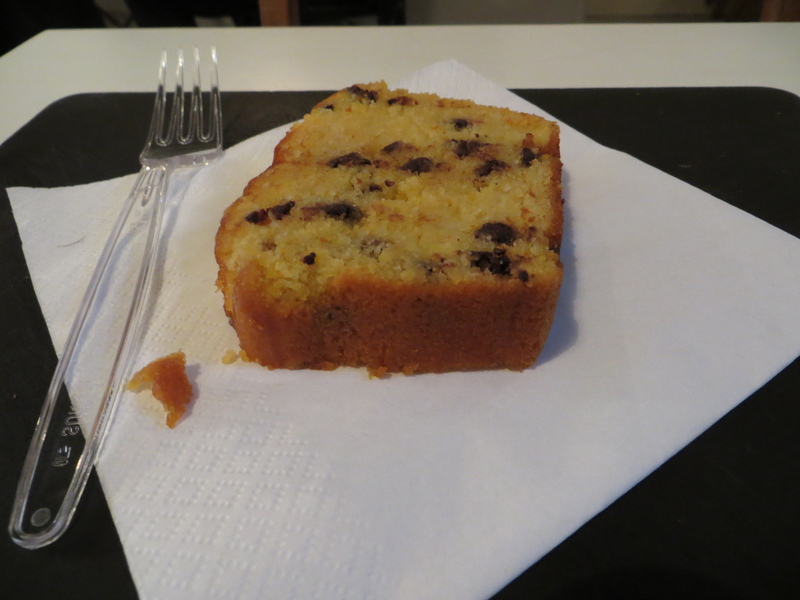 I did try their cakes and its Mandarin and chocolate sponge was excellent – moist and tasty. Good service generally, but gets a point off because not only was there a bit of a wait for my coffee after my cake arrived but also a couple who arrived after were served before me. It’s a little bug bear of mine but it’s simple stuff. They have a weekly ‘Lates’ night with poetry and beer and you can also hire outside the downstairs. Apart from that, not much else. One of the best places to get a good coffee in the centre of town. Simple as that. Cold brew coffee – what is it and is it any good?